Tips To Create A Good Looking Website. Creating a website is something anyone can do today with the advent of many application or website generators available today. But, creating a appreciable and good looking website needs a lot of thought process and skills. The following would help: 1. Think of a theme or idea for the website. What does your site speak about or what do you want the site to speak about? Put yourself in the shoes of the visitor and think why you should visit this particular site and not one of the numerous others? Always try to offer something extra that a visitor needs or wants. After you close your thought process on this, proceed to point no. 2. Now that you have the idea ready, what else do you need? An idea itself is not enough to create the website. Give a thought to web design. Design is a process of visualizing the idea by finalizing the layout, colors and more importantly the content. Colors and their combinations are very essential, since if you end up using the wrong ones, the visitor may have difficulty in reading the content which is the most important part of the site. The visitor will leave, never to come back. It is important to visualize the web site design on paper or a image file to get a proper preview. 3. Finding a web-host. You can host your site for free; there are many sites which offer this in lieu of placing an advertisement on your site. If you are running a business, it is advisable that you get your own web host. It is not very expensive to do so. 4. Start off with web development. Now that your web design has been finalized after numerous changes, it is time to develop the site as per the design specification. Knowledge of basic HTML becomes essential to create a quality site. There is no need to get into the tags and formats but it is necessary to know what HTML is and how it works. There are numerous HTML development engines available which work on the WYSIWYG guidelines, a basic knowledge of HTML will help you create a better website. This knowledge will come handy when you try to fix the errors on your site. 5. View your handiwork. While viewing your webpage do not forget the important factors: 1. Loading speed – Is it fast? 2. Is it easily navigable? 3. Is the content error free? 4. Is there anything that visitors would need or find useful? This is only the tip of the iceberg. These factors are extremely important and most people seem to ignore them resulting in a poor preventability. The idiom “First impression is the last impression” holds good while you try to publicize your site. 6. Create the rest of the pages. Create the rest of your pages with the above points in mind. Follow the hierarchy and don’t get confused. 7. Make your site go live. Preview your pages and after being satisfied, upload it to your web host. 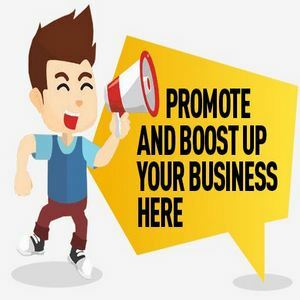 The next step is to promote your site. Promoting is required to inform others about the presence and content of your site. The process of web design and development is a cycle. To make people visit your site again and again, it is important to update your site at least every two weeks with good and latest content available to you. Make sure the updates are interesting. For more information and tips on creating a good looking and functional web site, please visit http://www.cobbwebdesign.com.